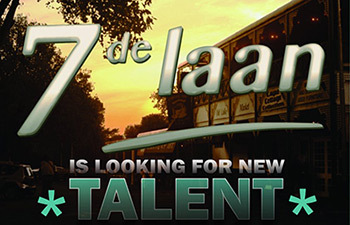 7de Laan is on a search find two aspiring actors to join the soapie as interns. A flamboyant Indian female character aged between 18 and 25. She's bright, outgoing and trendy with a bubbly personality. A Coloured male character, also aged between 18 and 25. He has a love for fashion, he's energic and has a pleasant personality. PLEASE NOTE: You must be able to speak Afrikaans fluently. The production team will be in touch with you if you make the cut. Closing date for applications: 21 July 2017.